Miss. Willie Lee Walker, 81, of Fleming Street, Ware Shoals, South Carolina, died Monday, July 31, 2017 at Self Regional Medical Care. She was the daughter of the late Mr. Wellington Walker and Mrs. Isabella Murray Walker. 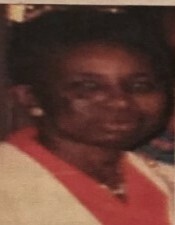 She was a member of Dunn Creek Baptist Church and a member of the missionary society. She loved gardening and she also loved baking. She was a former member of Community Family Singers. She was predeceased by her parents and brothers, James and Leroy Murray. Survivors are a brother, Abraham Murray, and sisters Margaret McIntosh, Christine Murray and Karen Harrison; sister-in-law, Nancy Murray, nieces, nephews and other extended family members.